Solar Blast deals 3 damage to target creature or player. Cycling 1RR (1RR, Discard this card: Draw a card.) 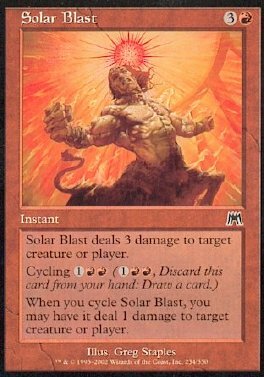 When you cycle Solar Blast, you may have it deal 1 damage to target creature or player.